For those with acne scars and dark spots, this homemade carrot scar remover will become your new best friend! Carrots are high in vitamins, minerals, and antioxidants, and are also natural lighteners. If you suffer from dark spots, sun damage, or acne scars, this homemade carrot scar remover will reduce or completely remove any sort of discoloration. Today we’ll show you how to make this super simple scar remover cream that requires only 2 ingredients (which you probably already have!). To a food processor, add about half a carrot (or even less depending on how much area you need covered), and process until a smooth paste forms. Dump the carrot paste into a bowl and to that, add a little bit of flour. Add just enough to make a homogeneous paste that you can apply to your skin. Apply the carrot mask to clean skin either over entire face or just where needed. Leave on for 30 minutes and rinse off. Use this mask 3 times a week for at least one month to see real results. 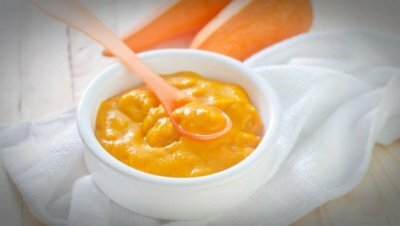 The ingredients in carrots will lighten any discoloration, spots, and scars over time. I’m not very familiar with pawpaw, so I can’t speak for its benefits, but if it’s the same consistency as a carrot, it should still come out like a paste!